Huge Congratulations to Emilie and Lee who were married at The Rochford Hotel on Saturday 16th August. I was asked to replicate a design by the girls at Love Cupcake and Cheri Bakewell (thank you for giving me permission to use it on here guys!) 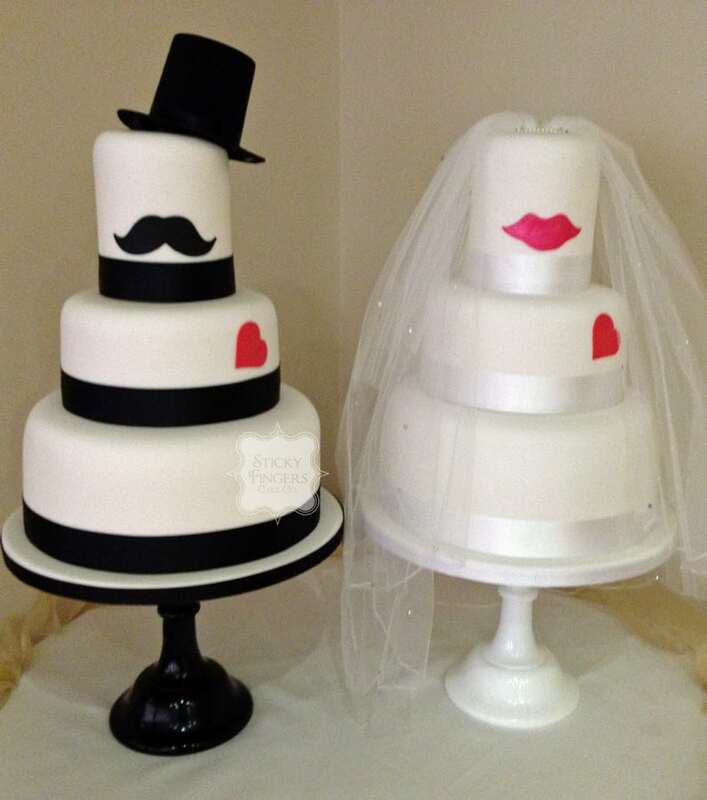 – a “Bride and Groom” double wedding cake! Emilie and Lee chose Red Velvet cake for the Groom and Madagascan Vanilla for the Bride. A fab design I was chuffed to bits to get to make. Have a long and happy life together Mr and Mrs Martin!